Questions keep coming about how the U.S. justice system responded to a New Mexico compound that housed five alleged would-be jihadists and 11 reportedly malnourished children along with the remains of a twelfth child who died on the compound. A federal grand jury recently indicted the five alleged jihadists on weapons and conspiracy charges, alleging the group created their compound in the desert outside Taos, New Mexico as a training camp and firing range to facilitate a "Common plan to prepare for violent attacks government, military, educational and financial institutions" and sought to "engage in jihad and form an army of jihad" according to the federal indictment published by the Department of Justice on September 11. The five suspects—Siraj Ibn Wahhaj, Lucas Morten, Subhanah Wahhaj, Hujrah Wahhaj, and Jany Leveille—had previously faced state charges of child abuse, but the charges floundered in court after a New Mexico judge dismissed charges against all five suspects when state prosecutors missed a 10-day deadline for a preliminary hearing. Prosecutors argued extenuating circumstances but were rebuffed. The federal charges echo information first laid out in the state prosecutors' motion urging the judge in the case to reconsider the judge's dismissal of bail, given evidence that the suspects had discussed targeted attacks against "corrupt institutions," including schools and an Atlanta-area hospital. Suspects reportedly had repeatedly discussed a willingness to fight and kill law enforcement, and to die as "martyrs." Prosecutors cited testimony from children inside the camp saying they were being trained to conduct school shootings or other attacks. The five suspects were arrested after local police launched a raid to respond to reports of child abuse from inside the camp, only to discover a shooting range, multiple weapons, and documents describing a potential terrorist attack, including a document titled "Phases of a Terrorist Attack." The federal charges highlight what appears to have been a disconnect between state and federal law enforcement over how to address the New Mexico compound and its armed residents. The compound was under surveillance from both local and federal law enforcement, but it took several months for law enforcement to intervene despite reports from the local community. 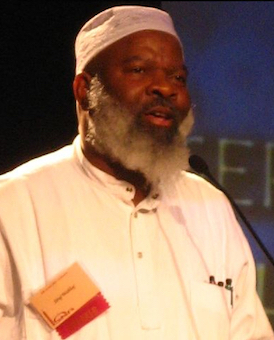 Sirraj Ibn Wahhaj faced a Georgia-issued child abduction warrant, and neighbors reportedly identified the missing child, Abdul Ghani, who was known to possess a limp. A child with a limp was also reportedly detected by FBI aerial surveillance. Taos County Sheriff Jerry Hogrefe has told media that local authorities didn't intervene over concerns they lacked probable cause to act. But CNN reported that a local officer told neighbors law enforcement's "hands were tied" by the FBI. "'We've gotten multiple calls on this child but, at the same time, our hands are tied because the FBI has whatever they got going on up there with them,'" CNN quoted the officer as saying, according to a recording the news channel acquired. This would not be the first case in which a disconnect between federal and local officials led to potential danger for a local community. In Garland, Texas, a free speech protest and cartoon contest on May 3, 2015, was targeted by two Islamic State-linked jihadists armed with rifles, Elton Simpson and Nadir Soofi. The attack took place while an undercover FBI agent shadowed the two attackers and took pictures. While the FBI says they warned Garland police that the two may have had an interest in the target, police guarding the event say they were never warned of an impending assault. Simpson and Soofi injured a security guard before being shot dead by a quick-acting Garland police officer. Repeated incidents of western law enforcement agencies having detailed intelligence on terror suspects, yet the failure to prevent attacks has led to the use of the term "Known Wolves" by policy critics, who say agencies aren't doing enough to preempt terrorism by those under surveillance. 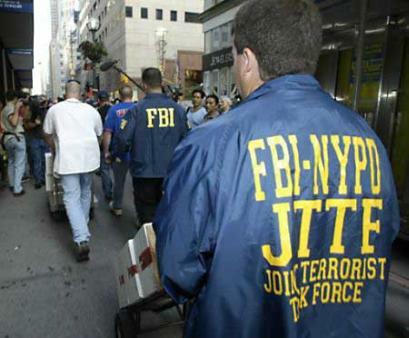 Feelings of mutual distrust between local and federal law enforcement linger, despite the Joint Terrorism Task Force (JTTF) system intended to incorporate local and state law enforcement with the FBI's efforts. While local law enforcement complains of having hands tied or being left uninformed of dangerous jihadists in their midst, federal law enforcement sometimes sees local law enforcement as compromised. Examples include Fairfax County Police officer Weiss Rasool, who in 2005 allegedly searched police databases and tipped off terror suspects, who were preparing to flee when federal law enforcement swooped in to make an arrest. And in 2009 FBI agents fumed when a local imam tipped off Najibullah Zazi, the leader of a three-person terror cell plotting bombings in New York City. The imam had been contacted by New York Police Department officers looking for intel. 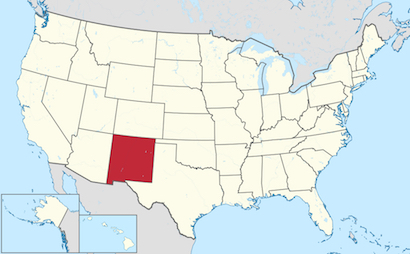 While federal authority over terrorism cases predominates, the New Mexico case feeds local law enforcement's growing perception that they can't assume the FBI has the situation under control. It also indicates the difficulties for local law enforcement when complicated cases with possible terror links are suddenly thrust into their laps. It's local law enforcement, not federal agents, who remain most likely to receive community tips and to recognize changes in their neighborhood beats. Local law enforcement is also more likely to be the first to spot tell-tale signs of criminal schemes to finance terrorism, or crimes like child or domestic abuse that may open a window of intervention, as occurred in the New Mexico case. While investigators' handling of the child abuse case in New Mexico raises concerns, the use of state-level terrorism prosecutions has seen significant success in states like neighboring Arizona, where counterterrorism laws do not require an "overt act" to prosecute, as federal terrorism laws do, making preemptive prosecutions of would-be jihadists more viable. We should continue to expect better cooperation between all levels of law enforcement in the effort to defeat jihadist terror. But at the end of the day, local law enforcement should not accept having their "hands tied" from protecting their communities nor take a back seat on counterterrorism.